10. That the AMA disseminate this report throughout the Federation with a request that it be distributed to local physicians and serve as the basis for organized discussions. Almost thirty years ago and over one hundred years after the end of the Civil War, our nation was confronting head-on the racial hatred that is all too evident in our history. The civil rights movement was in full blossom, blatant segregation was disappearing and many people were smug in the assumption that "we shall overcome." However, while our society did not appear to be agitated on the surface, the reality of persistent racial tension springing from our history of inequality was rolling to the point where actions were about to be taken that would demonstrate the intensity of the need for empowerment in the minority communities. The summer of 1967 witnessed horrendous examples of racially based disorders in American cities, most notably in Detroit and Newark, and prompted President Johnson to appoint a special commission under the leadership of then Illinois Governor Otto Kerner. The Commission's 1968 report, Report of the National Advisory Commission on Civil Disorder, examined the root causes of what The New York Times characterized as the "violent racial crisis in America today." The residents of the racial ghetto are significantly less healthy than most other Americans. They suffer from higher mortality rates, higher incidence of major diseases, and lower availability and utilization of medical services. In calling for action to reverse what the Commission described as the "deepening racial division," the Commission stated: "This is our basic conclusion. Our nation is moving toward two societies, one black, one white - separate and unequal." As we approach the end of the millennium, twenty-seven years after this stern harbinger of the future, it is lamentable to note the continued persistence of racial hatred and the fact that in too many aspects of our society the movement toward two societies continues. Even though this period has been marked by advances in medicine and health care that most would have classified as belonging in the realm of science fiction, and where this has resulted in a society that generally is healthier, with people living far longer and being more productive than our counterparts from thirty years ago, racial problems are chronic. As physicians, we are particularly saddened by the fact that one of the most conspicuous of these problems exists under our very noses. One only has to look at the key manifestation that the health system reform debate of last year was trying to address, the lack of access to health care, to see that this symptom is felt far worse in our nation's minority communities. When asked about quality of life, 36 percent of minorities report "high" stress levels, compared to 26 percent of whites. Obstacles to care also stem from cultural differences, such as language barriers experienced by Hispanics who speak only Spanish. There is evidence that legal actions and government aid have helped minority groups to "gain a 'foot' in the door of the health care system." The JCPES study declares that the door has not been "sufficient-ly" opened, and one of the actions called for in the report is for physicians and other health care providers to "become more sensitive and responsive" to the cultural differences in their patients and that more resources be directed toward strengthening health services such as primary care. Council on Ethical and Judicial Affairs Report 6-I-95, pending before this meeting of the House of Delegates, highlights the problem of minority population access to cutting-edge care. Similar to the documented under-representation of women in past research protocols, the report cites a lack of minority involvement in such studies. This has immediate ramifications in terms of early access to the care being studied, and long-term ramifications regarding the efficacy of the study and future application of the study results. There also appears to be a lag in minority patient access to investigational therapies. Puerto Rican, Hawaiian and American Indian infants had a higher mortality rate than white infants, but a lower rate than black infants. American Indian women are more likely than either white or black women to obtain late or no prenatal care at all. Even though the most frequently cited barrier to prenatal care was financial limitations, all of the evidence shows disparities in care continue to exist even where the financial barriers are eliminated to the greatest extent possible. This is seen through an analysis of the Medicare population and its access to care. Black beneficiaries were approximately 9 percent less likely to ever see a physician during the year and used about 8 percent less medical care on average. This included lower use of almost all services, but a substantially higher use of hospital emergency and outpatient departments. In terms of outcomes, black beneficiaries were only slightly more likely to be hospitalized, but were substantially more likely to be admitted on an emergency basis, to be an outlier case and to die in the hospital. In addition, the overall mortality rate for black beneficiaries was almost 16 percent higher than for other beneficiaries. Two years later, in its 1994 report, Monitoring Access of Medicare Beneficiaries, the PPRC found that African American beneficiaries continue to experience access problems. The report also said: "Vulnerable populations also use emergency rooms more than other beneficiaries, suggesting that they may lack a usual source of care." The key point from the PPRC analysis (of the Medicare covered population) is that the disparity in the receipt of care continues even when the primary barrier to care, financial limitations, is addressed. This information is buttressed by a just-released Health Care Financing Administration (HCFA) study, as reported in the November 20, 1995 issue of AMNews. While this study also identified access problems for low-income white people, it points out that race is an exacerbating factor. As reported in AMNews: "The study notes that for blacks, race and not income appears to be the determining factor on access to care. Like poorer whites and blacks, higher income blacks are less likely to visit the doctors and more likely to use emergency departments than are higher income whites." "Preliminary studies have found that African Americans are more likely to be denied authorization by their primary care physician, even after adjusting for severity of symptoms. The cause of this association is unclear, but raises substantial concerns about the equity with which gatekeeping is practiced. The findings could represent a difference in severity of illness that was inadequately measured by a triage score. The race differential could be due to racism on the part of the ED providers or primary care physicians. Alternatively, the findings could represent unmeasured racial differences in communication patterns, relationships to doctors, or the quality of doctors." 20.974, AIDS Prevention Through Educational Materials Directed at Minority Popula-tions; 65.990, Civil Rights Restoration; 65.999, Equal Opportunity; 160.959, Health Care Access for the Inner-City Poor; 200.972, Primary Care Physicians in the Inner City; 245.986, Infant Mortality in the United States; 350.985, Physicians' Role in Preparing Minority and Disadvantaged Youth for Careers in Medicine and the Health Professions; 350.986, Project 3000 by 2000 - Medical Education for Under-Represent-ed Minority Students; 350.987, Hispanic Health in the United States; 350.988, AMA Initiatives Regarding Minorities; 350.989, Continued AMA Support for Minority Health Improvement; 350.990, Black-White Disparities in Health Care; 350.991, Minorities in the Health Professions; 350.992, Indian Health Service Contract Care Program; 350.993, Minority Physician Manpower; 350.994, Funding for Affirmative Action Programs; 350.995, Minority and Economically Disadvantaged Representa-tion in the Medical Profession; 350.996, Health Care of the American Indian; 350.997, Amalgamation of AMA and NMA; 350.999, Sickle Cell Anemia; 410.995, Participation in the Develop-ment of Practice Guidelines by Individuals Experienced in the Care of Minority and Indigent Patients; 420.972, Prenatal Services to Prevent Low Birthweight Infants; 420.995, Medical Care for Indigent and Culturally Displaced Obstetrical Patients and Their Newborns; 500.992, Tobacco Advertising Directed to Children, Minorities and Women; 515.979, Violence as a Public Health Issue; and 555.982, Participation of Minorities in Organized Medicine. Analysis of Quality of Care for Patients Who Are Black or Poor in Rural and Urban Settings, Kahn KL, Pearson ML, Harrison ER, Rogers WH, Brook RH, Desmond K, Keller EB, RAND (1993). Black-White Disparities in Health Care, AMA Council on Ethical and Judicial Affairs, JAMA (1990;2344). Differences by Race in the Rates of Procedures Performed in Hospitals for Medicare Beneficiaries, McBean AM, Gornick M, Health Care Financing Review (Summer 1994;77). Implications of Race/Ethnicity for Health and Health Care Use - Racial/Ethnic Differences in Health Care Utilization of Cardiovascular Procedures: A Review of the Evidence, Ford ES, Cooper RS, Health Services Research 30:1 (April 1995, Part II, 237). Income, Race, and Surgery in Maryland, Gittelsohn AM, Halpern J, Sanchez RL, American Journal of Public Health (1991;1435). National Comparative Survey of Minority Health Care, The Commonwealth Fund (1995). Physician Race and Care of Minority and Medically Indigent Patients, Moy E, Bartman BA, JAMA (1995;1515). Racial Differences in the Elderly's Use of Medical Procedures and Diagnostic Tests, Escarce JL, Epstein KR, Colby DC, Schwartz JS, American Journal of Public Health (1993;948). Racial Differences in the Use of Drug Therapy for HIV Diseases in an Urban Community, Moore RD, Stanton D, Gopalan R, Chaisson RE, NEJM (1994;763). Racial Differences in the Use of Invasive Cardiovascular Procedures in the Department of Veterans Affairs Medical System, Whittle J, Conigliaro J, Good CB, Lofgren RP, NEJM (1993;621). Racial Variation in Cardiac Procedure Use and Survival Following Acute Myocardial Infarction in the Department of Veterans Affairs, Peterson ED, Wright SM, Daily J, Thibault GE, JAMA (1994;1175). Relationship Between Patient Race and the Intensity of Hospital Service, Yergan J, Flood AB, LoGerfo JP, Diehr P, Medical Care (1987;592). The Roles of Race and Socioeconomic Factors in Health Service Research, Schulman KA, Rubenstein LE, Chesley FD, Eisenberg JM, Health Services Research (1995). Pneumonia. In 1987, Yergen, et al., documented that, once hospitalized and after adjusting for length of stay and quality of care, nonwhite patients suffer-ing from pneumonia received fewer services, fewer consultations and less intensive care. Cardiovascular Procedures. Whittle, et al., in 1993, found race related inequities in the Veterans Administration system when studying the use of invasive cardiovascular procedures. White patients were more likely than blacks to undergo invasive cardiac procedures, including cardiac catheterization, PTCA and CABG. Similar findings were present in the Ford and Cooper study of the private sector published in 1995. HIV. Black patients were significantly less likely than whites to receive anti-retroviral therapy or PCP prophylaxis when first referred to an HIV clinic in Moore's study for the NEJM, 1994. Kidney Disease. The AMA Council on Ethical and Judicial Affairs in 1990 chronicled other studies indicating black-white disparities in care among patients with kidney disease, including long-term hemodialysis or kidney transplants. This report also included evidence of racial disparities in general internal medicine and obstetrical care. Disparities in medical care based on immutable characteristics such as race must be avoided. Whether such disparities in health care are caused by treatment decisions, differences in income and education, sociocultural factors, or failures by the medical profession, they are unjustifiable and must be eliminated. Physicians should examine their own practices to ensure that racial prejudice does not affect clinical judgment in medical care. The problem of meeting the health care needs of our minority populations is undeniable. For all of the policy pronouncements and actions to date, the impact unfortunately has been minimal. While it is far easier today to point to examples of success, those examples still turn out to be isolated instances that seem to only address the portion of the iceberg, this collective national shame of neglect, that is visible above the waterline. More needs to be done and the time to begin action is yesterday, now and in the future. The key is action. We can no longer afford to wait until we get another wake-up call like the one that instituted the Kerner Commission. Project USA - This initiative, founded in 1973 under a government contract, has allowed the AMA to place approximately 7,750 physicians in short duration positions, at sites throughout the country primarily serving minority populations. Most of the postings have been to positions in the Indian Health Service. Advisory Committee on Minority Physicians - The goal of this committee, founded in 1992, is to formally embody the AMA's organization-wide commitment to take a leading role in improving minority health, increase the number of practicing minority physicians, and expand the role and influence of minorities in organized medicine. 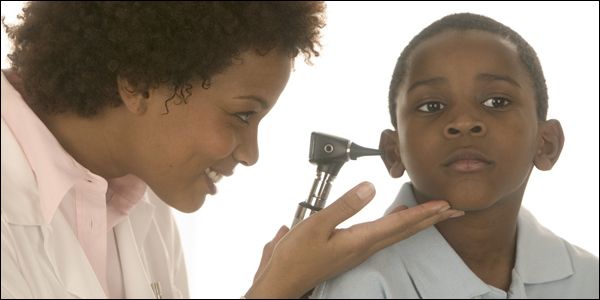 Adolescent Health Initiative - Recognizing the unique health care needs of the adolescent population, the AMA formed the Department of Adolescent Health in 1988. As part of its activities, the Department reaches out to practitioners to help them in meeting the care needs of this population. In 1994, the Department published a guide for primary care practitioners, Culturally Competent Health Care for Adolescents, designed to "facilitate delivery of health care that is individualized to take into account cultural, socioeconomic and other differences between patient and provider." Ultimately, however, much of the responsibility for finding and implementing solutions rests with every individual physician. The opportunities are many: from personal efforts, such as encouraging minority students to enter medicine and developing a greater degree of sensitivity to the cultural distinctions among minorities, to broader initiatives, such as improving access to and quality of health care for minorities and identifying and eliminating institutionalized racism and discrimination in the health care system. Robert Wood Johnson Initiative - The AMA and organized medicine are involved with the Robert Wood Johnson Foundation initiative "REACH OUT: Physicians' Initiative to Expand Care to Underserved Americans." Leadership - Another reason the American Medical Association expects to have a significant impact on this imposing issue is the historic presence of AMA President Lonnie R. Bristow, MD, the first African-American to assume Medicine's leadership position. When Doctor Bristow began his term as AMA President last June, he identified a series of "problems left to solve," and cited "addressing the specific health needs of minority Americans." Organized Medical Staff Section Survey - Since Doctor Bristow became president, the AMA has surveyed over 2,000 Organized Medical Staff Section members with a Survey of Racial and Ethnic Disparities in Health Care. In addition to sensitizing physicians and others on this issue, the primary goal of the initial survey was to ascertain the extent of processes to identify and act on disparities in care, and the willingness to establish such monitoring and action mechanisms. While this survey found only a small percentage of hospitals and other organizations have monitoring mechanisms in place, it also found that over half of the organizations would consider developing mechanisms to monitor for variations in the care delivery and utilization of medical services to patients of different race or ethnicity. The survey also identified clear roles for the AMA and the state and local medical societies in working to address and eliminate care disparities. In conclusion, the task is before our AMA and every physician to help address the terrible problem of racial and ethnic disparities in health care. Both short- and long-term approaches to this problem will be required. Short-term goals that already are being addressed include: sensitizing physicians and others to this problem; trying to determine the extent of the problem on a national and organizational basis; encouraging the establishment of monitoring mechanisms to identify and eliminate the problem to the extent possible; identifying successful model programs already in place to address the problems; and educating and motivating others to adopt appropriate models in their communities and practice settings. 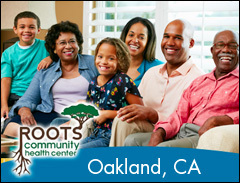 The ultimate long-term goal is to eliminate racial and ethnic disparities in care. This will require an ongoing effort that will include the development of measuring tools, recommendations for local action, and continual reporting to prevent this nightmare within our health care system from being overlooked. While the AMA and organized medicine can provide the push, the solution must come from local action. The time to move away from societal divergence is past due, and it is time for us to make sure that Medicine's house, meeting the health care needs of the American people - all of the people, is in order. It is time to stake out a position of zero tolerance toward disparities in care.